Endy de Jesus Chavez…graduated from Liceo Batalla Carabobo High School in Valencia, VZ…he and his brother, Ender, have been teammates with the Navegantes de Magallanes of the Venezuelan Winter League..originally signed by the Mets as a nondrafted free agent on April 29, 1996. Hit .295 (43x146) at Safeco Field to lead all Mariners in home batting average (min.100 PA)…posted pair of 8-game hitting streaks (April 21-28 and June 9-18)..recorded a hit in 45 of 59 games started…hit .263 (64x243) in a starting role…posted 17 hits against left-handed pitching (.254/17x67), his most since 2006 (26 w/ NYM)…hit second career pinch-hit home run May 20 at Cleveland (last: 5/28/08 vs. FLA w/NYM)…hit .293 (29x99) in 23 games with the Navegantes de Magallanes in the Venezuelan Winter League. Made the Opening Day roster of the Orioles, appearing in just 64 games due to a pair of injuries...Was a member of the Baltimore postseason roster for the club's Division Series with the Yankees...appeared in 3 games, striking out in his only at bat. Returned to full strength after July 2009 right ACL surgery ... Began the season on Triple-A Round Rock's Opening Day roster and appeared in 30 games before getting called up by theRangers in mid-May ... Was his first action in the majors since '09, spending the remainder of the season with Texas ... Led the club in CF starts ... Batted .301 (77-256) with 5 HR and 27 RBI in 83 games ... Matched a career high with 5 home runs, accomplished twice previously in 2003 and 2004 with Montreal ... Tallied 24 multi-hit efforts and 8 games of 3+ hits, tops in the majors for both categories among players who appeared in 85games or fewer ... Went 10-for-15 in SB attempts ... Started 66 games, including a team-high 59 in center field (2-LF, 5-RF) ... Compiled .993 fielding pct. with 3 outfield assists ... Batted .435 (20-46) with seven multi-hit efforts over his first 13 games, including four games with 3+ hits ... Made Texas debut on May 14 vs. LAA, his first major league action since June 19, 2009 vs. ARI ... Hit .376 (41-109), May 16-July 19, the second-highest average for a player with at least 100 at-bats in that span ... Homered in consecutive games for just the second time in his career on May 28 vs. KC & May 30 @TB ... Matched career high with 4 hits on June 2 @CLE ... Matched career high with 4 RBI on July 4 vs. BAL ... Batted .270 (10-37) with 3 doubles, 10 runs and one RBI in 22 spring training games ... Began the year with the Express, batting .305 (39-128) with 8 doubles, 2 triples, 2 homers and 17 RBI in 30 starts ... Hit safely in 23 of 30 and began the year with a 9-game hit streak, going 15-for-39 (.385) ... Started 17 games in center field, 11 in left and 2 in right ... Hit .323 (31-96) vs. RHP ... Went 11-for-36 (.306) with RISP and 6-for-16 (.375) w/ RISP and 2 outs. Was signed to a minor league contract by Texas just before the start of spring training on Feb. 15...went to major league camp and continued rehab there before remaining in Arizona during extendedspring program...was assigned to the Rookie League Arizona Rangers on June 23 and went 6-for-11 in 3 starts in right field...was promoted to class AA Frisco on July 1 and hit .333 (5-15) in 4 games...started once each at all 3 outfield positions andat DH...was assigned to class AAA Oklahoma City on July 8 and was 1-for-5 in start in left that night vs. Round Rock...suffered a right knee strain in that game and was placed on the OKC DL forthe rest of the season...batted .242 with one homer and 11 RBI in 32 games for Magallanes this winter, seeing most of his action in center field. Started 35 games in left, 7 in center, and 2 in right in lone season with the Mariners...was in the lineup for 44 of Seattle's first67 games through June 19...hit safely in his first 10 games of the season at .415 (17-41) through April 16...set a club record forlongest hitting streak to open a Mariner career and was the second longest streak ever by a Seattle player to begin any season (JoeyCora, 16 in 1998)...tied the team mark for most hits (17) in his first 10 games as a Mariner...had a .358 (24-67) mark in his first 17overall games through April 17 before hitting .217 (20-94) in final 37 contests...was just 5-for-26 in last 13 games...had season best3 hits on 3 occasions...hit both homers against the Angels, April 15 in Seattle and May 31 at Anaheim...had a .991 (1 E/107 TC) fieldingpercentage in 48 total games in the outfield...sustained season-ending torn ACL in right knee in collision with Yuniesky Betancourton June 19 vs. Arizona...was placed on the 60-day DL the following day and had surgery in early July performed by Mariners teamphysician Dr. Ed Khalfayan...played for Venezuela in 2009 World Baseball Classic, hitting .348 (8-23) in 7 games. Made 56 starts in the outfield: 41 in right field, 13 in left field and 2 in center...T-2nd on the team and T21st in the NL with 7 outfield assists...Batted .278 (65x234) vs. right-handed pitching, compared to .194 (7x36) vs. lefties...Recorded one, 4-hit game, 15, 2-hit games and four, 3-hit contests...Against NL East foes, batted .304 (24x79)...Hit his first home run of the season, and his first career pinch-hit home run, May 28 vs. Florida (off Kevin Gregg)...homer tied the game in the bottom of the 9th inning...finished the game 2-for-2 as the Mets won the game in 12 innings...Batted .313 (50x160) from June 11-end of the season (85 G)...was batting just .200 (22x110) through his first 48 games...Tied his career-high with two stolen bases June 17 at Los Angeles (AL)...Batted .444 (8x18) over a three-game stretch vs. St. Louis, July 25-27...Hit safely in 12 of 14 games from June 29-July 12 (.385, 20x52)...recorded 6 multi-hit games during that stretch...Matched his career-high with 4 hits July 25 vs. St. Louis...eighth time in his career that he has collected 4 hits in a game and the fourth time with the Mets...The last time he had four hits in a contest was May 19, 2007 vs. New York (AL)...Committed his first error since May 20, 2005 with Philadelphia at Baltimore on May 21 at Atlanta...had gone 253 consecutive games without an error and had 394 total chances before committing the fielding error on Mark Teixeira's double that allowed him to move to third base. Had at least one hit in 20 of his 31 starts...In those games he scored16 runs with seven doubles, two triples, a home run and 14RBI...Batted .310 (26-84) at Shea...Didn't commit an error for the second straight year...Has handled 320 total chances during that period...Hit .333 (22-66) during day games...Was reinstated from the Disabled List on August 28th...Started in rightfield that night at Philadelphia...Placed on the 15-Day Disabled List on June 7th with a strained left hamstring...Tied his career-high with his seventh career four-hit contest, May 19th vs. the Yankees...Hit a two-run home run off Andy Pettitte on May 18th vs. the Yankees...That home run proved to be the game winner in the Mets,3-2, victory...Drove in the winning run on a drag bunt in the bottom of the 12th inning on April 24th, to give the Mets a 2-1 win over theRockies...It was the first game-ending bunt for New York since August 18, 1995 when Bill Spiers scored Ryan Thompson with abunt single against the Dodgers. Posted a career-high .306 (108-353) batting average...Three of his four home runs either tied the game or gave the Mets a lead...Tied his career-high with his sixth, four-hit contest, August 26 vs. Philadelphia...Also had four hits on May 3 vs. Pittsburgh...Had 31 multi-hit games (22 two-hit, seven three-hit and two four-hit contests)...Hit .418 (23-55) with four doubles, two triples, a home run and 11 RBIs over 15 starts from June 28-Aug. 10...Also reached base safely in 13 of those 15 games...Had eight multi-hit games during that stretch...Hit .333 (26-78) against left-handed pitching...Collected three outfield assists (in left field) on June 4 vs. the Giants...Was the first Met to have three outfield assists in a game since Joel Youngblood (in right field) on May 23, 1981 at St. Louis...Drove in the game-winning hit in the bottom of the 13th inning of the Mets-Diamondbacks game on May 31...The Mets won, 1-0...Belted his first home run as a Met on April 30 at Atlanta (off Lance Cormier)...It was his first home run since he went deep on July 21, 2004, with the Expos against the Mets (off Mike Stanton)...Made his Mets debut as a defensive replacement in left field in the ninth inning on April 6 vs. Washington...Hit .329 with one home run, seven RBIs and 20 runs scored for Navegantes del Magallanes in the Venezuelan Winter League...His squad lost in the Championship Series. POSTSEASON: Made one of the greatest postseason catches in Major League history when he robbed Scott Rolen of a two-run home run in the sixth inning in Game Seven of the NLCS...Made seven postseason starts...Batted .375 (3-8) during the Division Series vs. Los Angeles...Started Game Two of the NLDS and went 2-4 with one run scored. Began the year with New Orleans (AAA) of the Pacific Coast League...Was recalled by Washington on May 3rd and appeared in seven games before being optioned back to New Orleans on May 10th...Acquired by the Phillies for Marlon Byrd on May 14th...Joined Philadelphia on May 15th vs. Cincinnati and had a triple in his first game...Was 11-46 (.256) with a double and two triples as a pinch-hitter for the Phillies...Led Philadelphia with 11 pinch-hits and tied forthe team lead in pinch-hit at-bats...Scored a run in six straight games, May 15th-May 22nd...Hit .424 (14-33) over a 24-game stretch, June 28-July 29th...Compiled a .381 (8-21) batting mark vs. lefthanded pitching...Had two hits on May 4th vs. Los Angeles and again on July 21st vs. the Dodgers...Also was the only player in the major leagues to hit two, pinch-hit triples...Made two starts in centerfield for Washington...For the Phillies, he started three games in leftfield and 10 in centerfield...Hit .368 (56-152) with 28 runs, 14 doubles, one triple, one home run, 12 RBI, four stolen bases, with 18 walks and nine strikeouts in 38 regular season games with Magallanes of the Venezuelan Winter League...Batted .326 (15-46) with nine runs, one home run and five RBI in 12 playoff games for Magallanes. Began the season with Triple-A Edmonton, but was recalled on April 22 and spent the remainder of the season in thebig leagues...was Frank Robinson's starting CF for the remainder of the season...played 127 games in CF, including122 starts...hit both leadoff and in the No. 2 hole...had the majority of his success hitting 2nd...on-base percentage wasmuch higher hitting 2nd (.347) than when batting leadoff (.291)...posted career highs with 6 triples and a team-high 32stolen bases...tied Terrmel Sledge for club lead in triples...stole more bases (5) in his first 10 games with the Expos thisseason than he did in July, August and September of 2003, combined (4)...139 hits ranked 3rd on the club behind onlyTony Batista and Brad Wilkerson (both with 146)...finished the season with 37 muti-hit games, just one behind clubleader Batista...hit .304 (34-for-112) in May...batted .337 with 6 doubles, 4 triples, one home run and 9 RBI in July andwas named Player of the Month by Montreal chapter of the BBWAA...drew only 30 walks in 547 plateappearances...however, batted .330 (30-for-91) in games where he drew at least one walk...posted 9 outfield assists,6 of which came at home plate...only Juan Rivera (14) had more among Expos...posted a .984 fielding percentage...wassuccessful on 82 percent of stolen base attempts (32 of 39)...batted .308 (16-for-52) in 14 games at Hiram BithornStadium in Puerto Rico...with Chavez in the lineup, the Expos posted a 58-74 record...grounded out (4-3) to end theExpos' 5702nd and final regular-season game as a NL franchise, October 3 at NYM...following the season, hit .285with 2 home runs, 8 RBI and 5 stolen bags in 32 games with Magallanes of the Venezuelan Winter League.Game-By-Game Highlights: Matched career high with 4 hits twice in 6 days: May 19 vs. MIL and May 24 vs. ATL inPuerto Rico...homered in consecutive games for the first time in his career, May 29-30 vs. CIN...tallied 3 hits, includinggame-tying 3-run shot off southpaw Mike Stanton, July 21 at NYM...again matched career high with 4 hits in a 12-inning7-6 win at CHI on September 7...recorded the 300th hit of his career-a 9th-inning RBI single-on September 12 atATL...stole 2 bases in a game on 4 occasions: May 1 at LA, August 15 vs. HOU, September 12 at ATL, and September25 vs. PHI...collected 4 hits in a game on 3 occasions: May 19 vs. MIL, May 24 vs. ATL and September 7 at CHI (NL)...setcareer single-month high with 8 stolen bases in August, then topped that total with 9 in September. Spent his first full season in the major leagues...Fashioned the only two bunt doubles in the majors leagues, April 27th vs. Houston and April 30th at Milwaukee...Belted his first leadoff home run of his career, April 20th vs. Cincinnati (off Danny Graves) in Puerto Rico...Collected his secondleadoff home run July 27th vs. Atlanta (off Greg Maddux)...Also had an inside-the-park home run June 20th vs. Toronto (off Jeff Tam)...Had a career-high four RBI, June 10th at Seattle. Named the National League's Rookie of the Month in September...Hit .337 for the month with five doubles, five triples, 16 runs scored and nine RBI...Was recalled by the Expos on May 7th...Was optioned back to Ottawa (AAA) on May 25th...Joined the Expos again on September 3rd from Ottawa...Posted a 16-game hitting streak from September 10th-September 27th...Collected his first major league home run, September 21st at the Mets (off Pedro Astacio)...Was 4-5 in that contest. Recalled from Wichita (AA) of the Texas League on May 29th...Made his major league debut that night by going 1-4 with an RBI atTexas...Went 3-4 with a double and two RBI on May 30th vs. the Rangers...Was with Kansas City from May 29th-July 5th and from July 25th-July 26th...Made 16 starts: 13 in leftfield and three in centerfield. Finished fifth in the Florida State League in steals...Also came in eighth in the Florida State League in hitting. Stole a combined 29 bases between Capital City (A) of the South Atlantic League (20) and St. Lucie (A) of the Florida State League (nine)...Played for Magallanes of the Venezuelan Winter League...Voted the League's Top Rookie. Appeared in 33 games at Kingsport (short seasonA). Combined for a .286 average in 52 games at Gulf Coast Mets (rookie) and Kingsport...was named the GCL Mets teamMVP. Made pro debut with the Mets entry in the Dominican Summer League. January 23, 2018 Pericos de Puebla released RF Endy Chavez. December 12, 2017 RF Endy Chavez assigned to Navegantes del Magallanes. March 9, 2017 Pericos de Puebla signed free agent RF Endy Chavez. January 12, 2017 Tigres de Aragua traded RF Endy Chavez to Aguilas del Zulia. December 30, 2016 Navegantes del Magallanes traded RHP Alex Sanabia and RF Endy Chavez to Tigres de Aragua. October 29, 2016 RF Endy Chavez assigned to Navegantes del Magallanes. September 18, 2015 RF Endy Chavez assigned to Navegantes del Magallanes. March 31, 2015 Seattle Mariners released RF Endy Chavez. January 26, 2015 Seattle Mariners signed free agent RF Endy Chavez to a minor league contract and invited him to spring training. October 30, 2014 RF Endy Chavez elected free agency. October 7, 2014 OF Endy Chavez assigned to Navegantes del Magallanes. May 30, 2014 Seattle Mariners selected the contract of RF Endy Chavez from Tacoma Rainiers. March 28, 2014 CF Endy Chavez assigned to Tacoma Rainiers. March 26, 2014 Seattle Mariners signed free agent CF Endy Chavez to a minor league contract. 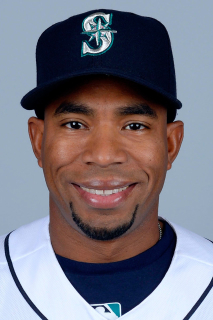 March 25, 2014 Seattle Mariners released CF Endy Chavez. January 31, 2014 OF Endy Chavez assigned to Venezuela. January 23, 2014 Seattle Mariners signed free agent CF Endy Chavez to a minor league contract and invited him to spring training. April 11, 2013 Seattle Mariners selected the contract of RF Endy Chavez from Tacoma Rainiers. April 3, 2013 Endy Chavez assigned to Tacoma Rainiers. March 24, 2013 Seattle Mariners signed free agent LF Endy Chavez to a minor league contract and invited him to spring training. March 22, 2013 Kansas City Royals released LF Endy Chavez. December 31, 2012 Kansas City Royals signed free agent LF Endy Chavez to a minor league contract and invited him to spring training. November 19, 2012 CF Endy Chavez assigned to Navegantes del Magallanes. November 3, 2012 LF Endy Chavez elected free agency. September 11, 2012 Baltimore Orioles selected the contract of LF Endy Chavez from Norfolk Tides. August 14, 2012 Baltimore Orioles sent Endy Chavez outright to Norfolk Tides. August 4, 2012 Baltimore Orioles designated Endy Chavez for assignment. July 13, 2012 Baltimore Orioles activated LF Endy Chavez from the 15-day disabled list. July 10, 2012 sent LF Endy Chavez on a rehab assignment to Delmarva Shorebirds. July 9, 2012 sent LF Endy Chavez on a rehab assignment to GCL Orioles. June 14, 2012 Baltimore Orioles placed LF Endy Chavez on the 15-day disabled list retroactive to June 13, 2012. Strained right hamstring. May 29, 2012 Baltimore Orioles activated LF Endy Chavez from the 15-day disabled list. May 26, 2012 sent LF Endy Chavez on a rehab assignment to Bowie Baysox. December 20, 2011 Baltimore Orioles signed free agent LF Endy Chavez. October 30, 2011 CF Endy Chavez elected free agency. May 14, 2011 Texas Rangers selected the contract of CF Endy Chavez from Round Rock Express. March 29, 2011 Endy Chavez assigned to Round Rock Express. December 31, 2010 OF Endy Chavez transferred to Caribes de Anzoategui from Navegantes del Magallanes. December 18, 2010 Texas Rangers signed free agent CF Endy Chavez to a minor league contract and invited him to spring training. November 6, 2010 Endy Chavez elected free agency. October 8, 2010 Endy Chavez assigned to Navegantes del Magallanes. October 4, 2010 Endy Chavez roster status changed by Oklahoma City RedHawks. July 8, 2010 OF Endy Chavez assigned to Oklahoma City RedHawks from Frisco RoughRiders. July 1, 2010 Endy Chavez assigned to Frisco RoughRiders from AZL Rangers. June 21, 2010 Endy Chavez assigned to AZL Rangers. February 15, 2010 Texas Rangers signed free agent LF Endy Chavez to a minor league contract and invited him to spring training. November 6, 2009 LF Endy Chavez elected free agency. June 20, 2009 Seattle Mariners placed LF Endy Chavez on the 60-day disabled list.